If we had the time, we'd probably have a bath every single day. Nothing quite beats sinking into a tub of hot water surrounded by flickering candles, doused in the most aromatic, skin-nourishing oils. We love baths so much that we've even uncovered the science of running one. But alas, it can be hard enough to find slots of time peppered throughout our schedules to catch up on Luther, read that book we still haven't got around to or even see our friends, which means bath time is basically off the cards. So what we're left with is the shower. We're fully aware that it's the more practical of the two, that it can't conjure up the same dreamy vibes, and it certainly can't massage the mind back to a sense of calm quite like a soak manages to. Or can it? Keep scrolling to discover the expert tips and the rather special products that will make even the most rushed shower (nearly) as relaxing as a bath. 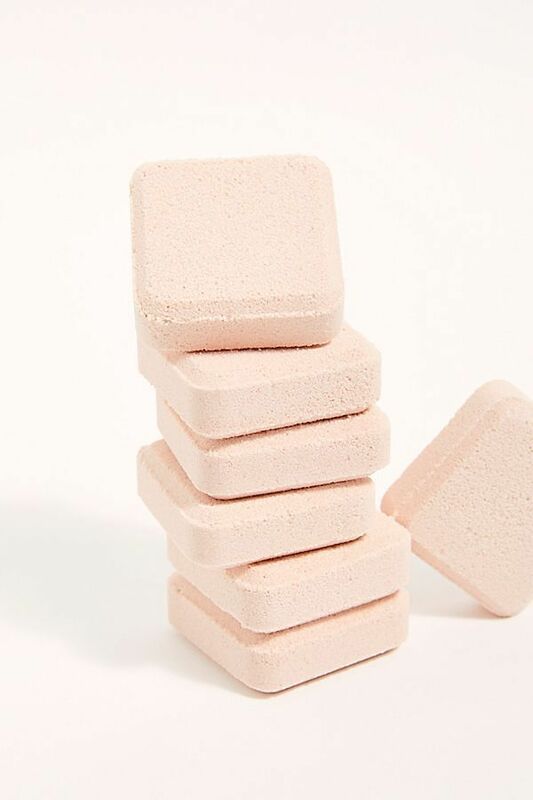 These clever little tablets work like a morning Berocca for your shower. Throw one in the bottom of the shower and as the hot water and steam hit it, the tablet emits an invigorating aroma thanks to the essential oils inside. With ingredients like mind-soothing lavender sea and uplifting lemon tea tree to choose from, you can cocktail your favourites depending on your mood. According to Jess Henley, psychotherapist and mind coach, paying particular attention to your breathing while in the shower is an easy way to slot mindfulness into your existing regimen. She talks us through the following technique to help relieve any feelings of stress or anxiety. "Focus all your attention on your breath," she says. "Notice the temperature of the air as it passes through your nose. Notice any scents and smells that are coming from your shower gel. Notice the physical sensation of your lungs expanding and contracting with every breath. "Try and take your breath deep into your abdomen. Imagine a point that is two inches below your belly button and a third of the way into your body. Breathe into this space. This will make your breath as deep as possible which will make it as healing as possible. "Keep your breath slow and even—each breath should take at least 10 seconds. Once you're connected to your breath, start to notice your body, the contact of the water as it splashes over you. Move your attention to all the different parts of your body, keeping your attention on your breath at the same time. Try to do this for as long as you can." "Hanging a bunch of eucalyptus in your shower and having a hot steam makes for an aromatic and health-boosting experience. The natural properties of the leaves release with the heat and act as a decongestant great for the respiratory system during the autumn season," explains Natalie Viklund, co-founder of Aevi Wellness. 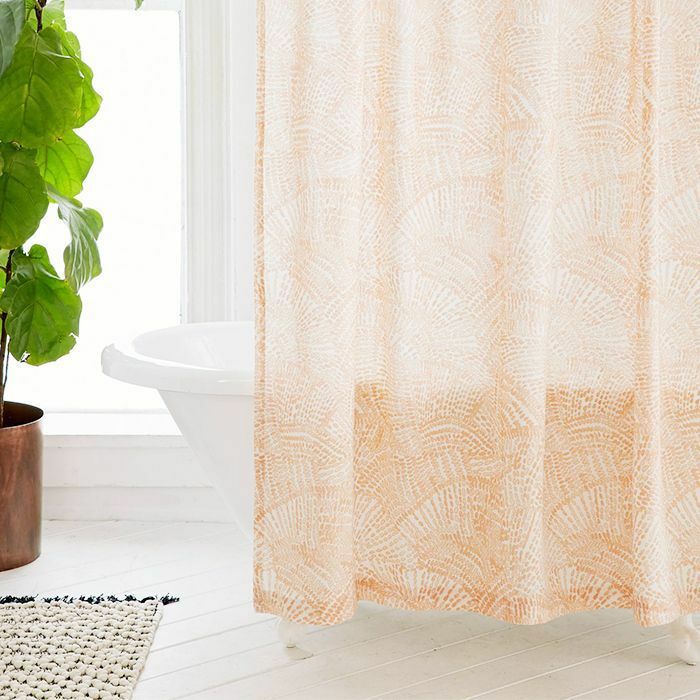 "Beyond your shower, it adds some botanical beauty to your bathroom!" Face masks aren't just for lazy Sundays—in fact, far from it. Not only can a supercharged shot of skincare wake up a tired complexion, but the process of looking after your skin all feeds into the idea of self-care, and that can have bountiful benefits for the mind. Sold? 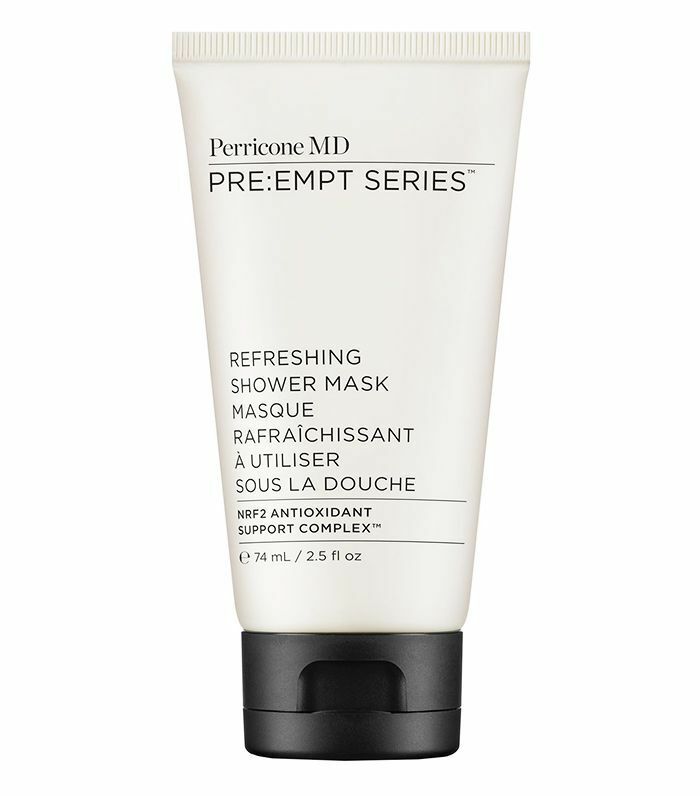 Well, this Perricone MD mask is actually specifically designed for use in the shower. It's a gel formula containing a mix of turmeric, green tea and cress sprouts that ward off environmental skin "baddies" like pollution and the damaging effects of oxidative stress. Its power to draw toxins from the skin is effectively activated by the steam of the shower.